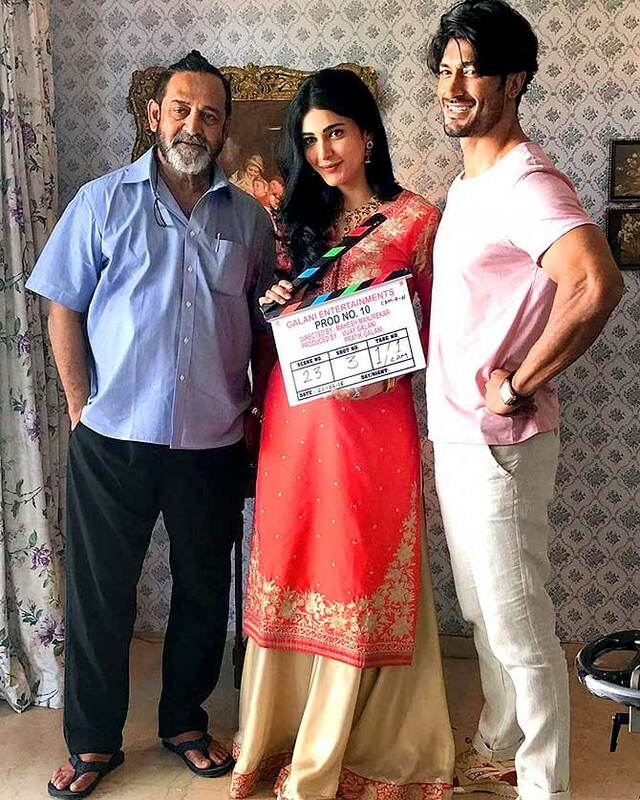 Action star Vidyut Jammwal is all set to impress us on the big screen again. 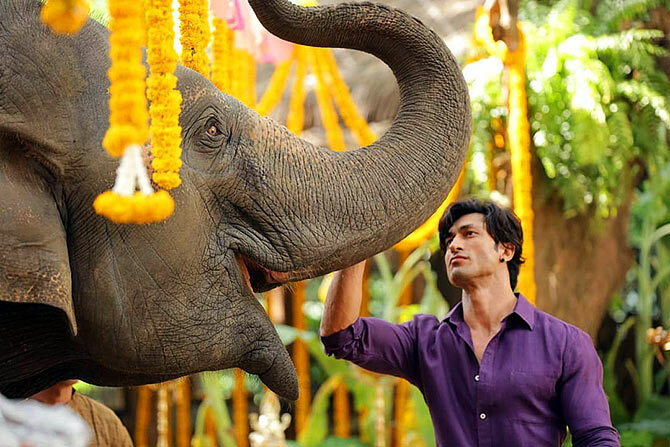 His new film Junglee has been directed by American film-maker Chuck Russell (The Mask, Eraser), and sees Vidyut play a veterinary doctor who forges a unique friendship with elephants. While other Bollywood actors try to prove their versatility by exploring different genres, Vidyut swears by action. "Chuck told me I could be the next big thing in the world. He had said the same thing to Dwayne Johnson," he tells Rediff.com Contributor Mohnish Singh. Your film is up for release. Nervous? I know the result will be good. I have watched the movie and it is completely different from what I have done so far. It's something I would have loved to watch as a kid. We have made it for kids. We have made it for families. It is educative and teaches you about everything you are not aware of. It teaches you things you have no idea about. What did you learn from this film? I learnt that animals will not harm you, if they feel safe and secure and if they feel you are not attacking them. It is not difficult to work with animals if you know how to conduct yourself. What led you to say yes to Junglee? I think we are doing an animal and human bonding film after a gap of about 40 years. (Director) Chuck Russell is very cool with animals. He understands animals well and can make cinema with them. I was very proud when he told me that I could be the next big thing in the world. He had said the same thing to Dwayne Johnson. So for me, everything seemed right as there was somebody who believed in me. Somebody was asking me how difficult it is for an outsider to survive in the industry. I told him I am tired of answering this question. Yes, it is difficult. But if you have talent, somebody will find you. I am happy that Chuck Russell found me. Does it take time to build a connection with animals while shooting? It is different with different animals. When it comes to humans, if you tell a boy how great his physique is, he will be happy. If you tell a girl she has lost weight, she will be happy. But with animals, it does not work like that. They understand you more than what you think. I have been trained in martial arts and I understand humans well. But what I have learnt over the years is that animals are more human than us. They don't attack you. While working with animals, you just have to train yourself and be normal. If they feel harmed, they will bite you. Otherwise, creatures never cross the line, we do. IMAGE: Vidyut performs an action stunt in Junglee. Why was Chuck Russell chosen to direct Junglee? Because he has worked with animals. Since the time he has been working, his movies have animals. When we were on the sets, he knew what he wanted from us. He did not want to take the perfect shot. He had enough patience to wait and work only when the animal was ready. You push the envelope with every new film. I am a mumma's boy. I have grown up in an ashram with 800 women around me. I came to Mumbai to become a hero, and I became one when Commando released. Though the film did not make Rs 100 crore, I believe I became a hero. People around the world, who love action and are action junkies, recognise me and love me for my work. I work on myself even harder now. I have used my success to better myself. The producer can falter, the director can falter, but I will never falter. I am not giving less than 150 percent in any of my films, and that is what you have to do if you are an outsider. When somebody asks me why I do so many action movies, I say I do what I believe in. Those films might work well for me. Why don;t we see you at Bollywood parties? I don't go to Bollywood parties. Somebody was asking me why don't I attend Karan Johar's parties? Why should I? Is he my friend? He complimented me on the Junglee trailer, so did many other celebrities. But I cannot be going to their parties. I really cannot afford to. I have to work really hard if I go to these parties because I have to look a certain way. If I go and look tired, people will say he was looking tired. I don't want that. Mine is a different route, but I am very proud of it. You don't use the harness while doing stunts in films. Why? Someone likes to booze, others don't. You cannot do anything about it. I like to do action on my own, without using any harness or any body doubles. It is a high, I cannot explain it. If there is a scene which requires a lot of action and my action choreographer says he wants a stunt double, I refuse. I want to break that window and beat up the goons on my own. People liked your grey role in Baadshaho. Any more dark characters coming up? Some directors just get it right. Milan Luthria got it right. I have done a lot of negative roles down south also. Do you believe southern film-makers have not fully explored your potential as an action antagonist? Heroes there don't let them do so. When you are not the hero of the film, the hero will not let you beat him up. If you are playing an antagonist and cannot even beat the hero, what are you even doing there? Having said that, I got a lot of love for my villainous role in Thuppakki, where I beat up the hero! How is your film with Mahesh Manjrekar shaping up? Mahesh Manjrekar is a brilliant film-maker. He is making his directorial comeback to Hindi cinema after so many years. He is trying his best and I like it. Would you do a film which does not involve action? Nobody expected Michael Jackson, who was a great dancer, to be a brilliant cook. Likewise, I don't want to leave action. I enjoy the thrill of it. Did you join the industry to become an actor or an action star? I wanted to do so many things, but I wanted to do action too. If I had not tried to make a mark for myself, I would have been doing small roles in the south Indian film industry. I am not ashamed of what I do. Whenever the opportunity struck, I did it. When I go to places like Jaipur, people ask me how to become an actor. They ask such questions with genuine curiosity. And I tell them that looks and body do not matter; it is the talent that nobody else has. When I see someone like Akshay Kumar, who trained in martial arts and became a hero, I feel I am on the right path. Are you enjoying your success? I come from a family where we have not seen such kind of success. Yes, I am enjoying it and I am making sure everybody, who has been a part of this journey, enjoys it too. 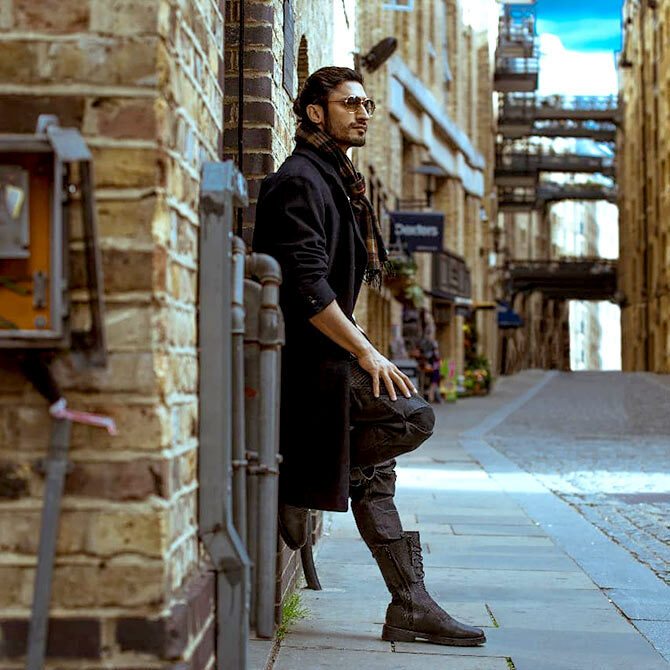 Do you get inspired by action stars like Tiger Shroff? He is amazing. I have great respect for everybody who does action. There is a lot of hard work that goes into it. Do you think anybody can go and kick so high? No, they train very hard to be able to do that. He is a successful actor's son. But do you know how much he must have worked hard to be so good at action? Very hard. There is nothing like nepotism. A lot of star kids have not made it. Yes, I agree that it is very difficult for outsiders like us. We don't get the movies a lot of star kids get. But then there are people who believed in me without even knowing me. Shah Rukh Khan, Akshay Kumar and, for that matter, Amitabh Bachchan are the biggest examples of that. Tiger Shroff recently opened an MMA Centre in Mumbai. Do you plan to do something like that? See, I don't have the background that these guys have. My background is different. I cannot have the kind of ambition that Tiger or Hrithik has. I have a different ambition. I am here to improve myself. Whatever money I earn, I invest it on myself and on people, who have made me a star. I have been here since 2011. It's 2019 now. People come here for a year or two and vanish. If you are not cool enough, you are out in no time. I have sustained and the audience still likes me. Yes, today I don't have pandemonium that Ranbir Kapoor has, but my time will come.